As you all know there has been a lot of multi-channel era. Among those multi-channel, telecommunication is one which cannot be ignored as well as cannot be avoided and the most extensively used service channel is voice. So call centers plays an important role in carrying out the business process. Here the questions arises. 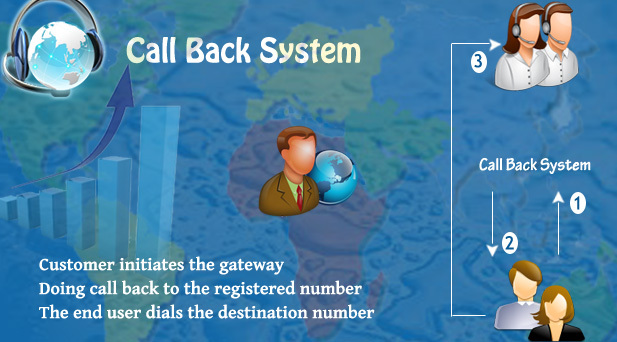 What is the importance of call back system in call centers? Everybody knows that if the customers make a call to the service number regarding some questions to ask and have been asked to wait for a long time or else if they getting some voice like “Please hold on, your call is important for us” – they easily get annoyed and it may create a bad opinion to the corresponding business process. The usage of call back system arises to avoid these kind of situations. The process of call back system starts with collecting the caller’s phone number and assigning them a specific time where they will be called back to address the customer needs in accordance with their queries. By doing so, the call back system paves the way to gain the customer satisfaction in call center companies. • It provides an alternative way to reach our customers. • It is used to build up the user experience. • Call back system services holds up the structure with the making of custom applications. • Contact center operations thus becoming better with call back system and thus adapting to various contact center environment. Having call back technology will drive happier customers with reduced telecommunication cost. Infosearch BPO is part of Infosearch Group, a company with a forte of services includes HR consulting, Recruitment, Training, BPO Services, Web related outsourcing services (Web designing and Portal development). The focus of Infosearch BPO is in providing cost-effective Business Process Outsourcing (BPO) and Call Center Services.